Today is Halloween and I’m sad because, if you know me, you know that I LOVE everything Halloween! However, I won’t be down for too long because during the holiday season, when one holiday passes, another one is just around the corner! My focus for the next few weeks is going to be Thanksgiving! 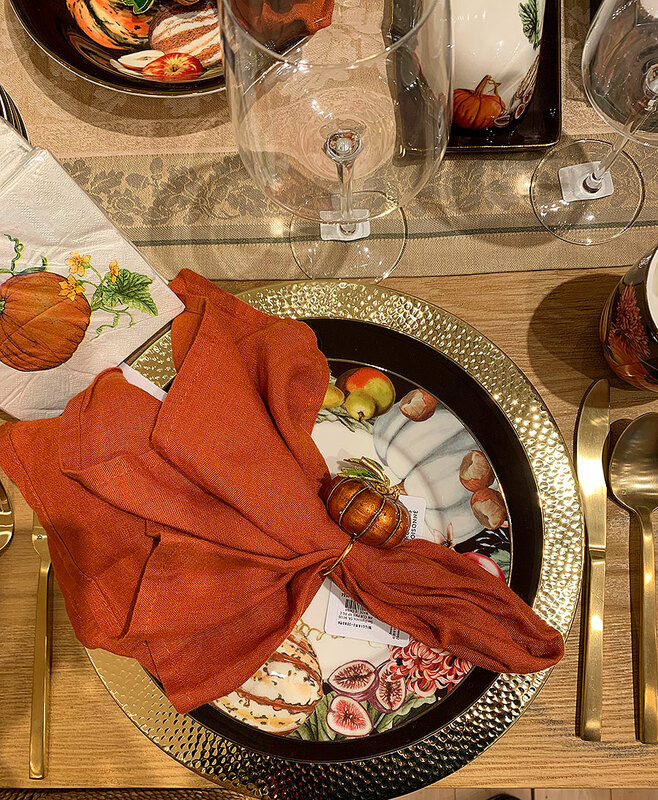 I love Thanksgiving because it’s all about fall… the colors, textures, but most of all, the food! 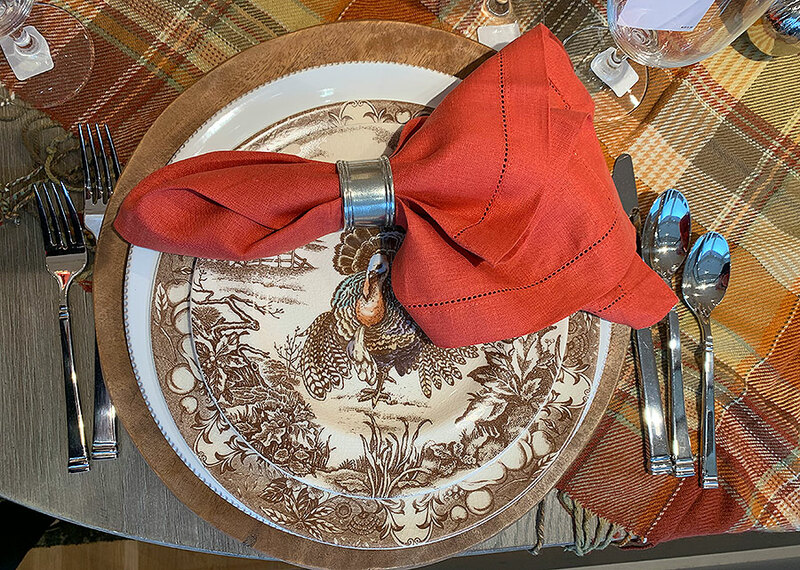 Thanksgiving makes me think of warmth and comfort. I love watching QVC and seeing all the fuzzy blankets, flannel sheets, and pajamas that go on sale. I love the cool crisp air and the fragrance of peoples’ fireplaces burning in the evenings. It’s just a fabulous time of year. 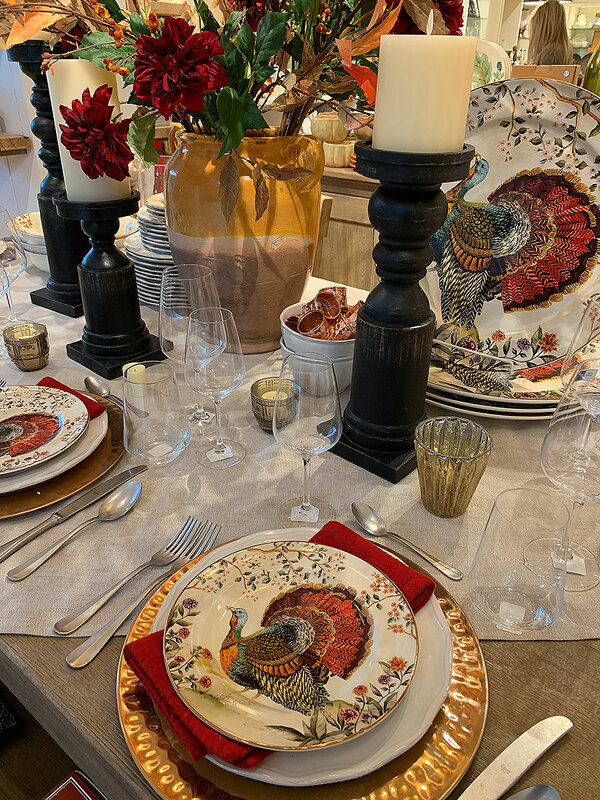 I had a chance to visit Plaza Frontenac, a shopping center in St. Louis, and stop in some of the stores which display beautiful tablesscapes. Here are some of my favorites. 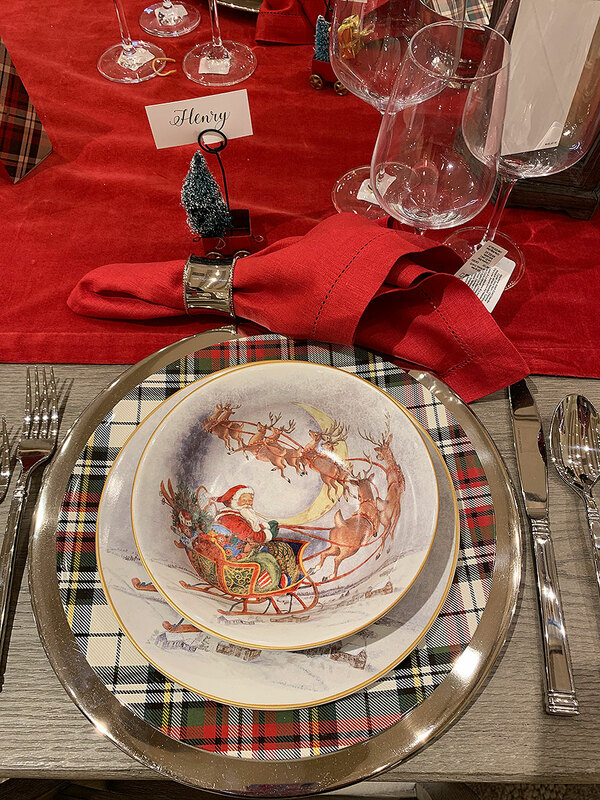 Also, I am going to show Christmas tablescapes as well since I know some people like to put out their Christmas china on Thanksgiving. Enjoy! 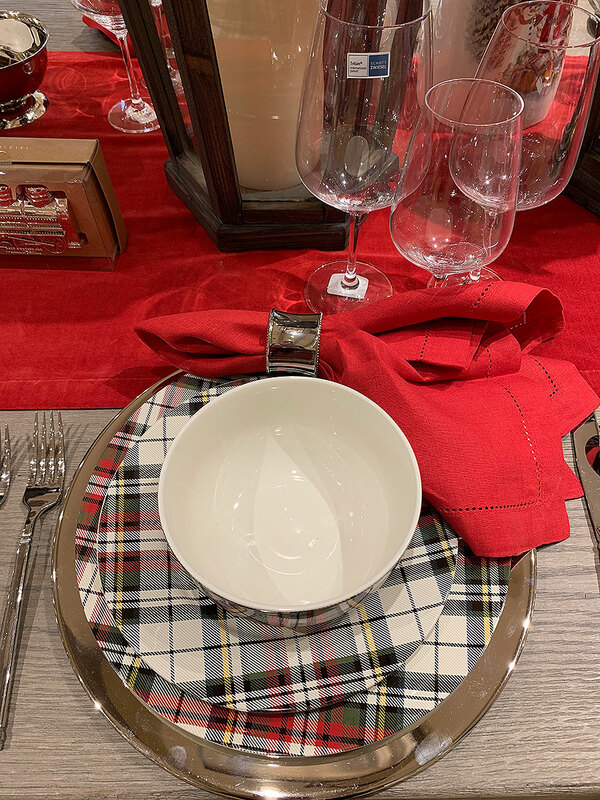 Plaid tableware from Pottery Barn. I will always love plaid. 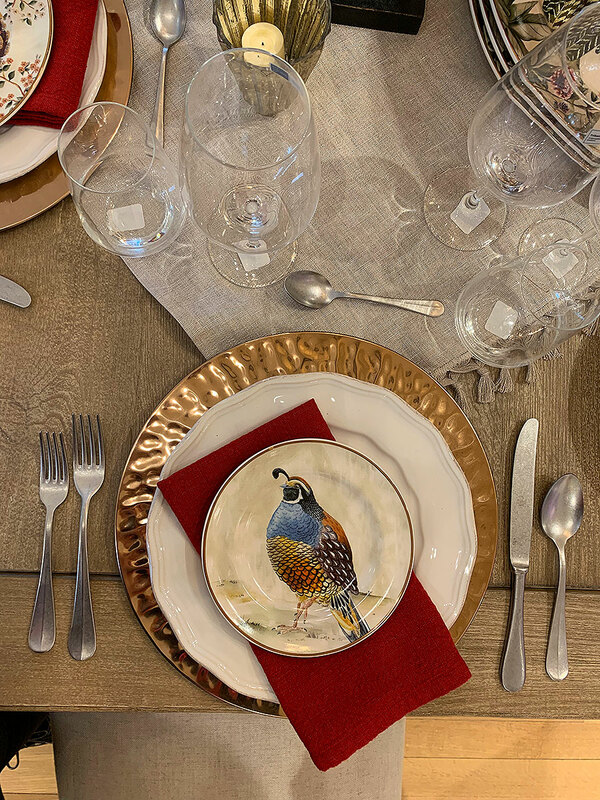 It’s one of the most classic and elegant winter patterns. 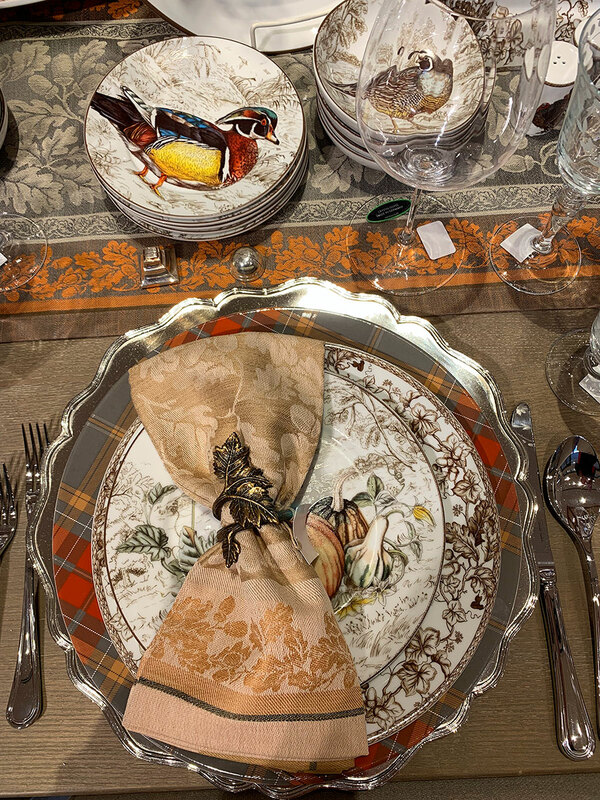 I can definitely see using these plates and mugs even after the holidays. Plaid and Santa… Need I say more? Pottery Barn never disappoints. 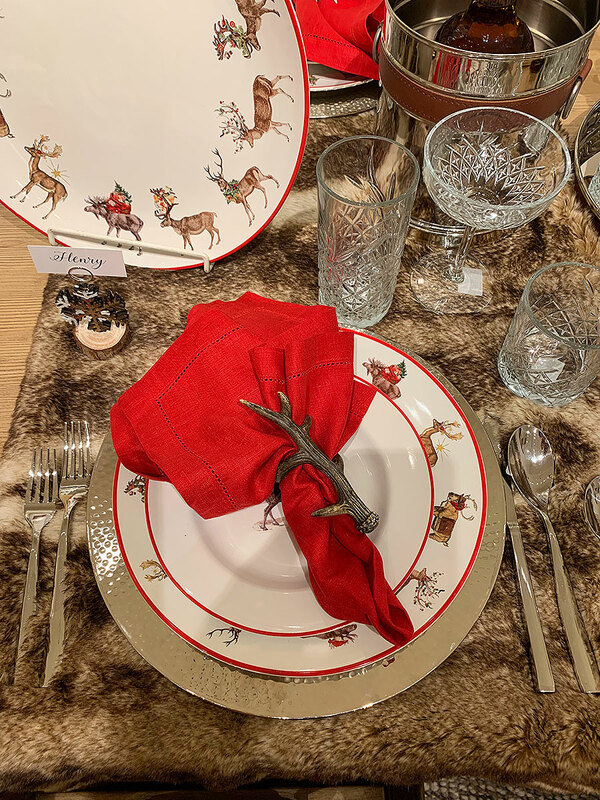 This entry was posted on Wednesday, October 31st, 2018 at 3:59 pm	and is filed under Christmas, Fall Season, Parties, Retail Displays, Table Decore, Thanksgiving.